Beat Icon Neal Cassady used to steal a car, pick up girls from East High School at the Oasis Drive In, and then drive them to the mountains for some fun! 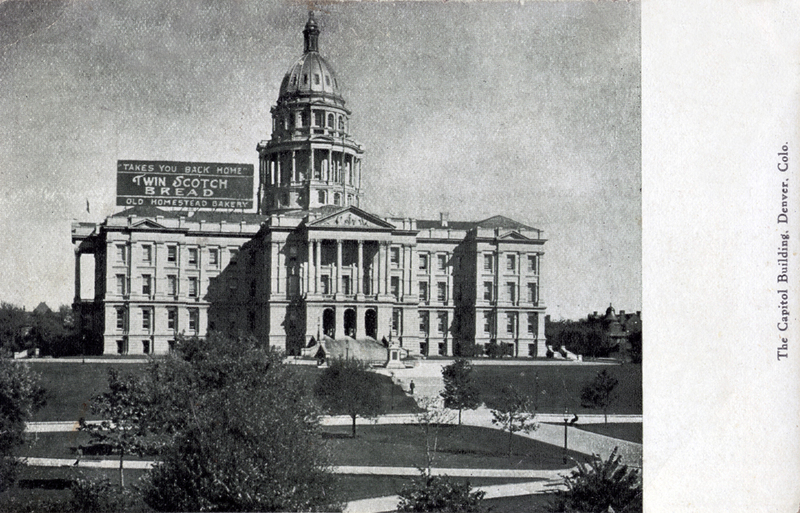 This one seemed strangely appropriate for today: 1920s postcard of the Colorado State Capitol Building. 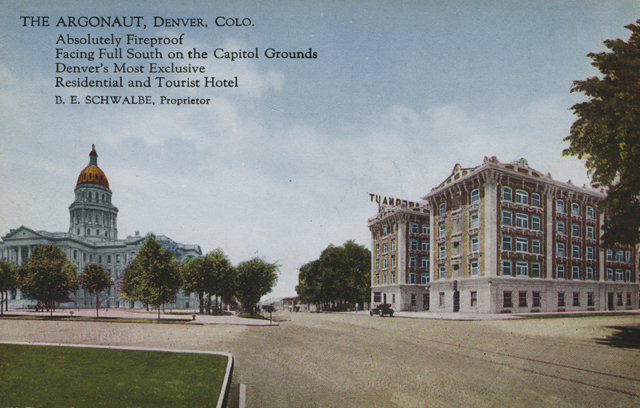 Although today it is the Fillmore Auditorium, originally it was the Mammoth Garden Skating Rink, and the Clarko Hotel (since torn down) fronted the building. Here I am thinking, all Colfax needs to cement its' reputation for crazy is some kind of insane clown something-or-other. 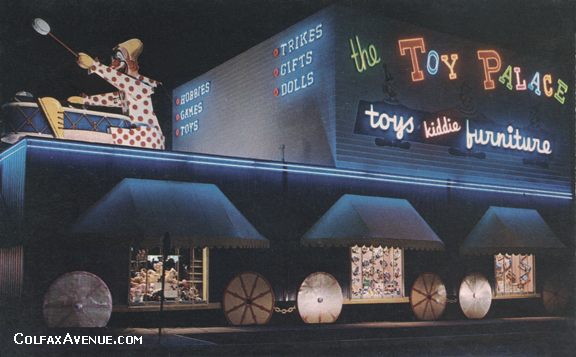 Found this one today...The Toy Palace used to be at 3737 E. Colfax Ave., and advertised 66,088 different toys available! Mi casa es su casa. 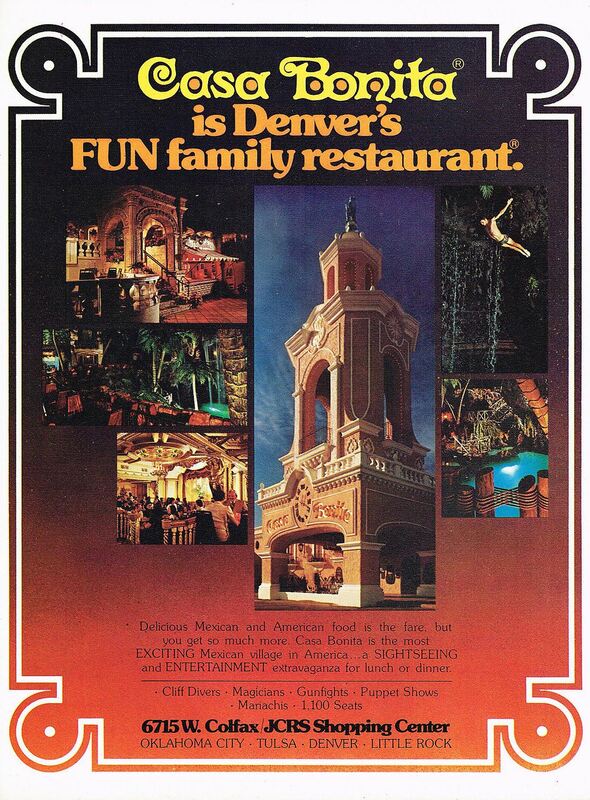 Vintage ad for the Lakewood State Capitol Building, Casa Bonita. The Lake Apartment building on West Colfax Avenue is slated for demolition, if it's not gone already...and I can speak with confidence when I surmise it will be replaced with one of those cheap, boxy architectural marvels of the New Denver. I miss classic architecture with a real artistic sensibility, solid craftsmanship, and an eye for detail that we are sorely missing today. Then again, I may be wrong...the builders might actually surprise all of us! Cool retro shot of the old Red Barn and the Colorado State Capitol Building (courtesy The Denver Eye). Final Show at Shuffle Inn in 1987 before it burned to the ground the very next day. Another classic sign from the old days, the Shuffle Inn, a biker bar on West Colfax Avenue in Lakewood, Colorado, is torn down to make way for new development. WAY out on East Colfax Throwbax: Louie's Cafe and Cabins, on Highway 40, Bennett, Colorado. Cabins $1.00 and up. Home cooked meals. 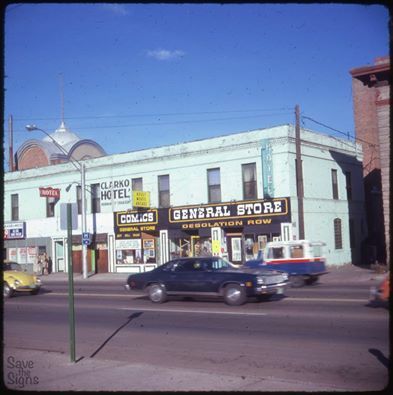 This building at 4930 West Colfax still exists and is currently home to Sidewok Cafe. The amazing neon sign was designed and built by the folks at Gordon Neon Sign Company. This interview was conducted with Helen Hand, sister of John Hand (Founder) in 2007: Ten years ago this month. Colorado Free University has since moved from Colfax Avenue to a new location. More information on freeu.com. 1. Tell our readers a bit about Colorado Free University. Colorado Free University celebrates its twentieth anniversary this year. Founder, John Hand, based the school on the premise that adults should be able to direct their own learning and that communities have within them the resources to solve their own problems. Colorado Free U is a unique institution that fills a niche unfilled by other institutions. Teachers come from the community and offer their expertise, knowledge, skills or passions to others in the community. CFU is the match-maker, putting together people who have something to teach with people who have a need to learn. We get the word out, provide the space, and take care of the logistics, but the goal is to connect members of the community together to share and bring value to one another’s lives. 2. What does being a lifelong learner really mean? Life-long learning about staying current, alive and vibrant. No one completes their formal education with all the tools they need for personal or financial success. Whatever the institution, formal education leaves gaps in knowledge and skills. Academic programs tend not to teach “street smarts” or to help students apply the knowledge they gain in class to the actual problems they will encounter in work and in life. Colorado Free University fills in the gaps left by academic education and takes people places they could never go in school. The range of offerings at Colorado Free U is amazing: everything from business strategies to finance to languages to computer skills to arts and crafts to meditation to dance. Whether the goal is to build a business on a budget, get skills to make a career leap, meet new people, or just try something new and have fun, CFU has classes that fit the bill. If development of skills or acquisition of new knowledge is what is needed, adult learning classes can be hands-on, practical and tailored to the needs of participants. The educational model of traditional academic settings is left behind and adult learning becomes interactive, useful, without tests or grades or other hoops to jump through. Learners fill in the gaps left by their formal education, identifying for themselves what they need to know and choosing just what is relevant for their situation. Far from ivory tower education, students in lifelong learning classes draw from the expertise and street smarts of those who have, themselves, been in the trenches dealing with real-world problems. And then there is the entire range of enrichment classes that allow people to dabble in areas they’ve not tried before, develop untapped talents, try on new ideas, make changes in their lives, or grow personally and spiritually. Coming together with other real humans, venturing into new territory or taking a bit of a risk is energizing and enlivening. It can be the best form of adult play where, in a safe and low-risk setting, you try new things or experience yourself in new ways. In the process you reconnect with the parts of yourself that haven’t gotten much exercise since childhood, expand who you are, and revitalize your life. 3. What class(es) would you take/have you taken at CFU and why? When I first came aboard, a little over three years ago, I had a lot to learn about leading CFU. I am a Clinical Psychologist and had worked in my own private practice for about 25 years, but had never had a staff or worked with a larger organization. I took a number of marketing classes that we offer here at CFU so that I could get the knowledge I needed to get more exposure for the school. Because I had gone through a tough time of loss, I took a course on Healing through Writing to aid in my personal process. Then, I took fun things, like wine-tasking and beer-tasting just because I wanted to. I often attend our special events and unusual classes so that I can see what folks are sharing and keep abreast of our events here. I walked on fire with David Fabricius, learned about Crime Scene Investigation with Lt. Jon Priest, and found out about energy healing with Eric Pearl, just to name a few. 4. 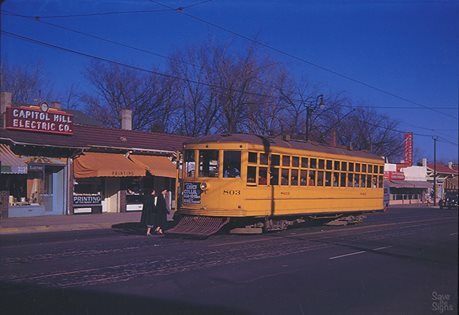 What is your favorite thing about Colfax Avenue and doing business on Colfax? I have been in love with Denver’s Capitol Hill neighborhood since I was in high school. I started by visiting its “counterculture” coffeehouses: The Sign of the Tarot, and the Green Spider, before graduating to the 3.2 clubs: The Exodus and The Shire. I bought music and amber beads from the Denver Folklore Center and my books from Together Books. I saw The Who perform Tommy at Mammoth Gardens. My first apartment was in the basement of a converted Denver Square just south of The Squire Restaurant on Williams Street—$60 per month, with a shared bathroom. It felt like a palace in 1969. The Free University has grown up in Capitol Hill, never more than two blocks away from Colfax Ave. for going on 30 years. Time sure flies. Not for the first time, my venerable neighborhood is undergoing a real estate boom. Old buildings are being “lofted,” and mixed use projects are rising from long-vacant lots. (In the 70s the boom took the form of high-rise apartments.) Its good to see all these new people with their energy and money cleaning and fixing up the place. Cap Hill is Denver’s Greenwich Village—the ecosystem of Denver’s artistic soul. I welcome her new appreciants. But I don’t really worry that my hood will get too gentrified. There is a realness and a grit here that defies sanitization. 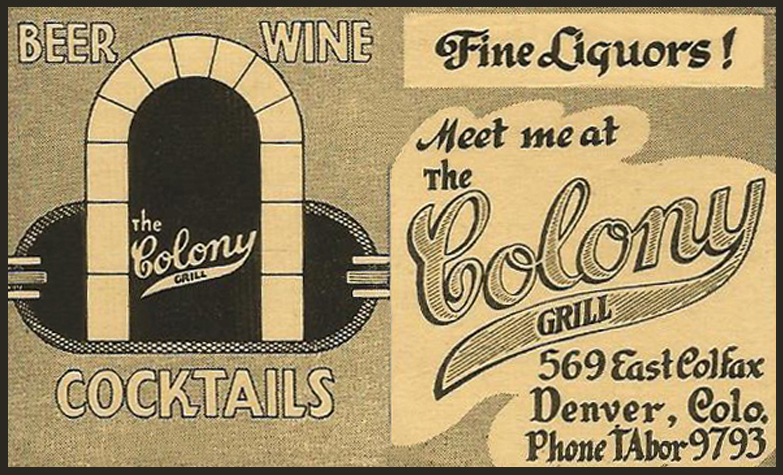 Colfax is cool, and it’s sure to remain so. 5. Any advice for Colfax Avenue, start-up entrepreneurs? If you build it they will come. Have faith! 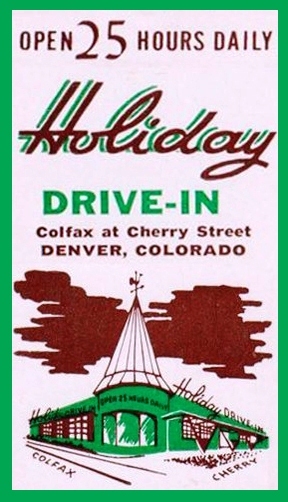 Colfax is so centrally located and people come up and down and through our area all the time. I think that we are the beginning of a trend towards choosing local and gravitating toward independent, locally-owned businesses again. Colfax just gets more and more interesting and will become more of a draw for Denverites who want something with a little personality. 6. 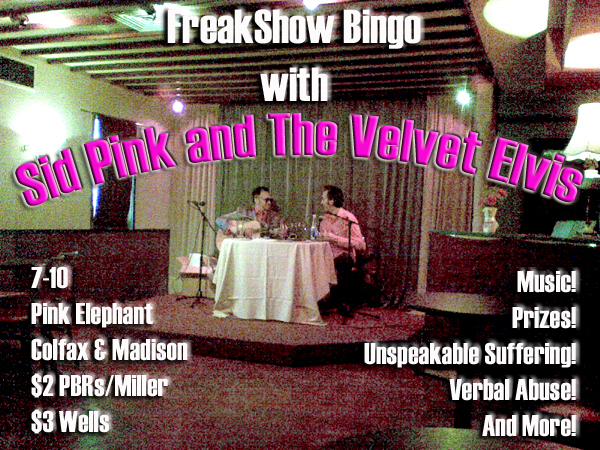 Know any cool weird trivia or ghost stories your building location or about the Fax in general? Our building was originally a rooming house and for a time was the home of the author, Katherine Ann Porter who wrote her most famous novel, Ship of Fools, while living here. She became ill in the great Flu Pandemic of 1917 and while waiting for room in the hospital was nursed by a fellow resident. While Porter survived, this young man did not. Porter based her novella, Pale Horse, Pale Rider on this good Samaritan. If you have rooms in your home or office feel "off", have things that go bump in the night, or sense there may be other unseen inhabitants in your space, this information packed class could help you understand why and clear things up. In class, learn to use kinesiology, pendulums, animal communication, Feng Shui, gridlines, electrical interference, and touch on soul retrieval. There's always a reason why energies become imbalanced in a local and it's often very simple to eliminate. Some clearings can even be done at a distance. Marnie Vincolisi will share her experiences and the numerous processes she finds useful so you can easily learn to do it yourself. Class includes active participation and guided imagery as Marnie shows how you can apply these simple techniques and add them to your bag of tools. When she came into our offices to talk about the course, she was blown away by her sensing of the presence of multiple ghosts that hang out here. 7. Did you know that Colfax Avenue officially runs through seven Colorado cities? I knew it ran through several, but not the full number. Isn’t it also the longest stretch of highway that is also an urban street? It's the longest commercial street in the United States, yes. The building first opened as Mammoth Roller Skating Rink in 1907. 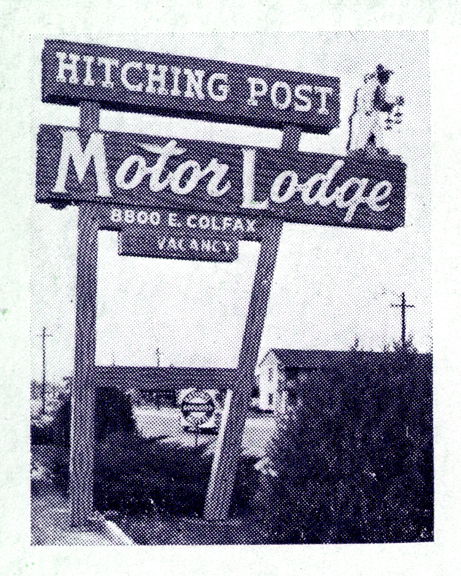 It was then occupied for a few years by the Fritchle Automobile and Battery Company, a manufacturer of electric cars capable of traveling 100 miles between charges. Later re-opened as Mammoth Gardens, a first-class sports house offering ice-skating, hockey, ice polo, basketball, wrestling and boxing. 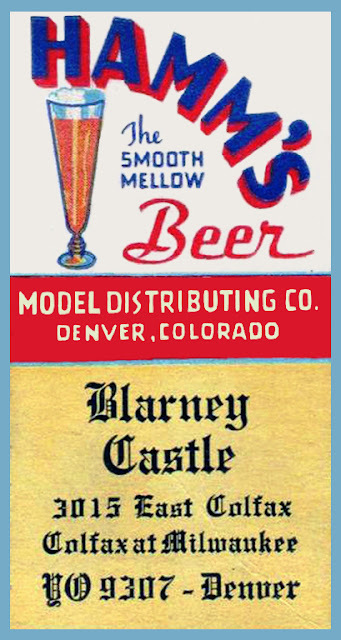 During its life, Mammoth Gardens was the home to Denver's first professional ice hockey and basketball teams. James Brown performed in the room in 1960. The building even served as a warehouse for the Colorado Mercantile Company at one time. Stuart Green bought the building with plans of turning it into a concert venue emulating Bill Graham's Fillmore in San Francisco; during the next six months, the venue hosted concerts from artists such as the Grateful Dead, The Who and Joe Cocker. 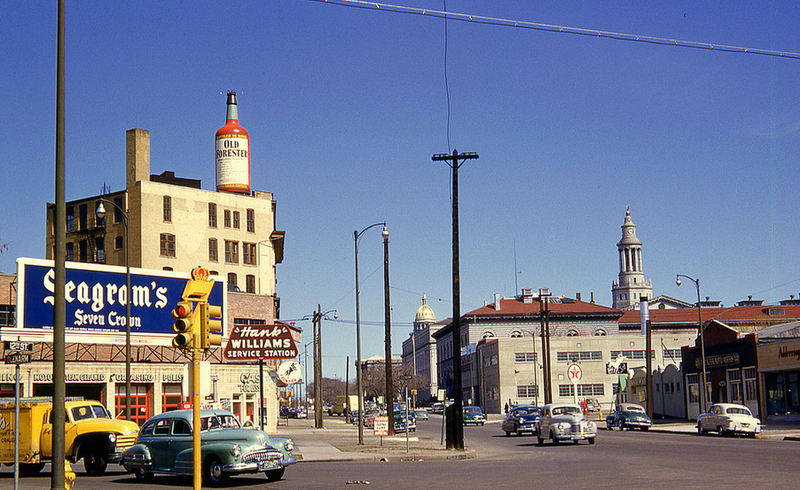 The concert venue was blamed by city officials as being the reason for the downfall of the neighborhood; in October of 1970, the building was boarded up. 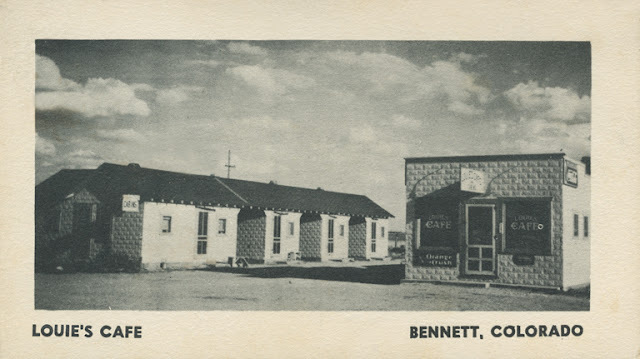 Briefly opened as "The Market," where vendors sold fresh baked goods, produce and arts and crafts. Mammoth Gardens is opened as a facility that would accommodate sporting events, entertainment, music, dancing and restaurants; after only 14 months, the building was again closed because of disagreements between partners. Mammoth Gardens is purchased by Manuel and Magaly Fernandez and opened as a home for their multi-cultural concerts and dances. 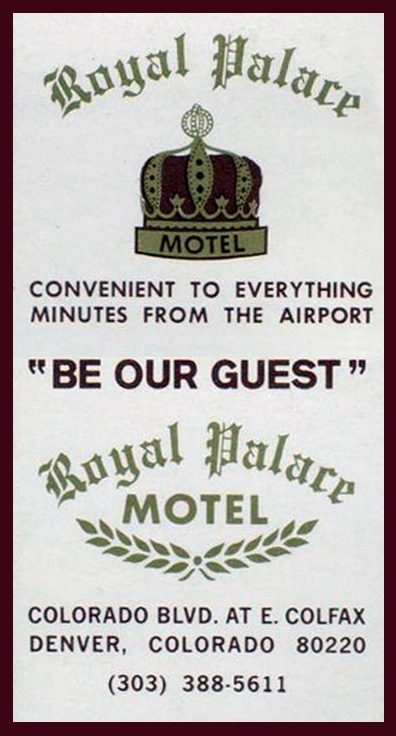 In addition, the couple worked with outside promoters to bring to the venue national touring concerts. 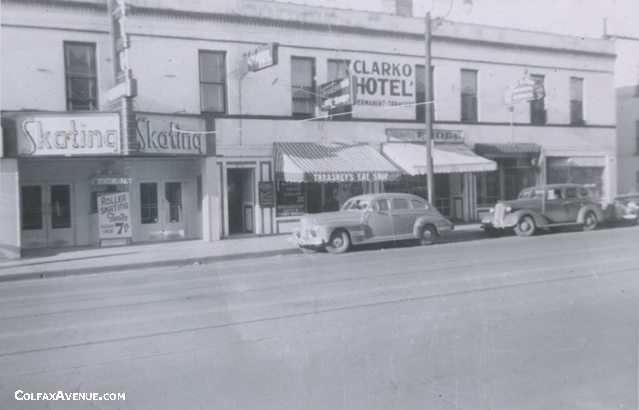 The Clarko Hotel, which once fronted the building, was torn down in 1990 to the delight of many Capitol Hill residents, using a $350,000 loan from the Mayor's Office of Economic Development. 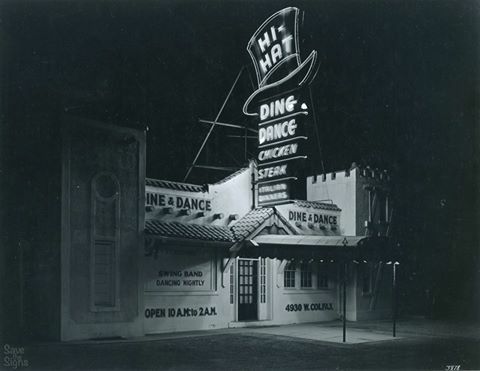 In 1999, opened as The Fillmore Auditorium where the tradition continues. Ever since, the building thrives as a music venue and the view of the original structure has been much improved as a result. One of the most peculiar aeries of automobile accidents occurred last Friday evening when a farm wagon driven by E. I*. 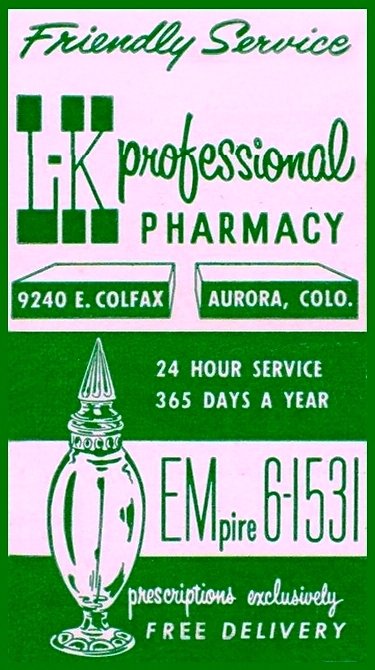 Dunlap, of Aurora, was struck by an automobile of Col. Sherwood, of Fltzsimons hospital. About 8:30 p. 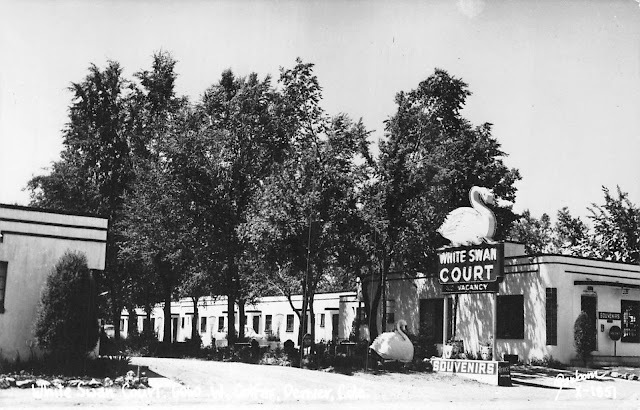 in., the wagon was opposite the Starlight Cottage camp, on Colfax Ave., when the automobile struck it. There was no light on the rear of the wagon and the Colonel did not see it until he was right upon it. Dunlap was thrown out, but was j only slightly hurt. The horses broke away from the wagon, carrying the tongue off with them. They smashed into two other automobiles, doing them some damage, and then, while the entire pavement was blocked, came thundering down upon the cars, and tore the top off of one; but were brought to a stop. While this was going on. a young man from Denver, hurrying to the hospital to keep a date, piled into the whole mess and added considerably to the devastated area. A remarkable feature was that no one was seriously hurt—even the horses escaped with a few bruises. The aftermath of the affair in the police court next morning, resulted in Dunlap being fined $2O and costs for having no red light on the rear of his wagon and the young man was fined $5 and costs for reckless driving. 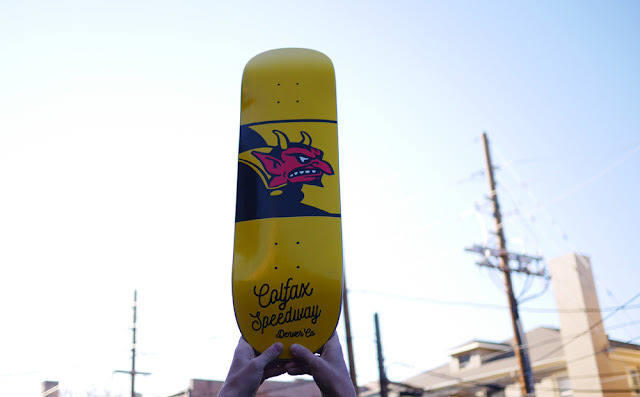 You may finish first on the Colfax Speedway, but you still lose. The 15Ltd "Colfax Speedway" hats and boards available in store now. Lost Highway indeed! The Hank Williams Service Station once stood at Colfax and Glenarm.